Looking back on my time before joining the professional workforce, I admittedly did not have a realistic understanding of what an “engineer” truly did day-to-day. While studying chemical engineering at the University of Texas at Austin, I imagined a fair amount of my early professional years would be dominated by working technical issues – completing calculations, running simulations, and designing processes. One of my biggest surprises upon entering the workforce was that unlike my imaginings, a lot of my time was spent determining which information is correct and pertinent and how to best communicate results and issues with others. While solving problems (a key skill of being an engineer) is an important ability, I found the mark of a great engineer is the ability to communicate difficult ideas, problems, and solutions in such a way that they can be understood easily. This does not mean “dumbing it down” or speaking down to your coworkers or colleagues; rather, it means latching onto the most important details that your client, colleague or superior needs and explaining it concisely and accurately. My time here at Provenance Consulting and working with clients in the industry and countless chemical engineers, young and seasoned alike, has helped me hone in on three things that make the difference between a young engineer who “gets it” and one that is stuck in that college classroom. Take a page from my book – it’ll give you a head start on nailing those first few years of your career. This phrase means that the drawings – which are critically important for new projects and general understanding of a facility – are admitted to not be correct. One of the challenges for a young engineer is figuring out which data sources to use to obtain the “correct” data, since that data may exist in four different places. For example, a maximum allowable working pressure (MAWP) might be in inspection software, relief systems design basis, original vessel calculations, on a P&ID, or any number of internal databases. If these numbers differ, what is the correct value that should be used? At different facilities, the answer is often different. A functioning MOC program not only ensures the facility is safe and compliant, but it also ensures that your data is correct across a number of different data sources at the facility. This is just one example of the ripple effect these parts of Process Safety have across the facility. Ensuring you record and report correct data not only saves you time as you do subsequent work, it also becomes invaluable to the people who will use your work down the road. Large capital projects can go significantly over-budget based on the amount of time needed to verify or correct data that “should” already be correct. Engineers who understand and ensure that information is correct are an important asset to their company. Your boss (and his boss) will notice whether he can trust your data or if there is a pattern of verification that always needs to happen. When you are building your professional reputation, it’s these little things that can make the difference between becoming the engineer that managers can rely on, and the engineer who is inconsistent. Trust me – you want to be the former! Often, a new engineer feels overwhelmed by the new responsibilities and tasks at a facility. It can feel like you are barely treading water. One of the best sources of information and help in any facility is the know-how that exists among the engineers and operators who have been at the plant for a while: the “institutional knowledge” of the facility. Visit the field, ask questions and – more importantly – listen to the answers that they provide; most experienced personnel enjoy sharing their knowledge if you take an interest. Oftentimes the most confusing parts of a plant or process make sense if you take the time to look at them in the field and learn the nuances of the facility. Additionally, speaking with more senior personnel allows you to develop personal relationships with them, which builds trust with your colleagues and allows for a mutual respect and better ability to work through issues as they arise. Just because someone doesn’t have an engineering degree doesn’t mean you know more than they. Some of these men (and women) at your facility have worked with the equipment since before you were born. The design specs may say it should work a certain way, but those operators and seasoned personnel are a wealth of practical information. Listening to them could save you significant time (and money). You’ve got to work with the entire team to be successful – you can’t just stick with engineers if you want to advance. Learn to work with everyone and understand the value they bring to the company. Being successful at engineering in the real world includes doing things that seem “boring” or “extra” and it means working with people who have a different skill set and experience than yours. A good engineer recognizes that and does what they have to. 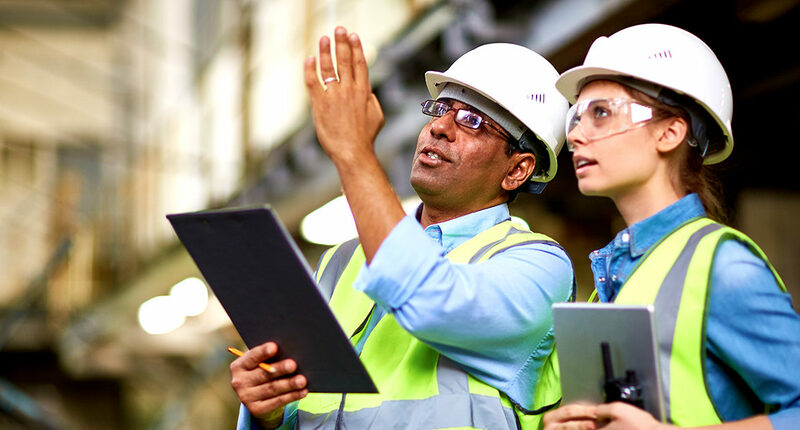 A GREAT engineer sees the ripple effect of those “small” tasks, the importance of process safety in all that we do, and that the people in our organizations with experience on the ground can be some of our greatest resources. James Topp is a PSM Consultant with Provenance Consulting. A graduate from the University of Texas BS Chemical Engineering Class of 2016, he’s been with Provenance since 2015. His roles have included a Co-op position, intern and full time engineer. During his tenure with Provenance, James has focused on many areas of Process Safety. Mainly, he has worked in Relief Systems engineering for multiple clients and plants including chemical plants, midstream facilities, and refineries across multiple states; completed a maximum intended inventory for a large midstream facility; facilitated MOC coordination and auditing for refineries; and utilized ProvPSM’s ARTS software for PSI reconciliation – among many other projects. 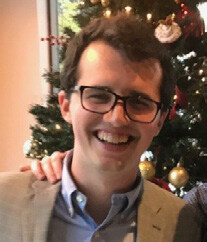 In his personal life, James enjoys reading, travel, skiing, and telling people how the 2008 Longhorns were robbed of winning the Big XII Championship and competing for a national title, despite the fact that they had the same record as and had beaten the eventual Big XII champion, OU, on a neutral site. Through innovation and technology, Provenance Consulting provides information management systems and services that track, monitor, verify, and sustain data that personnel use in the operation of oil, gas, and chemical plants and facilities. We specialize in process safety management, software implementation, and custom software development. We not only implement and maintain information systems and processes, but we build the foundation of these systems that ensure the data utilized is accurate. The Process Safety Management (PSM) Consultant is expected to utilize expertise in the area of process design, analysis, and operations to deliver quality results to clients. Focus is on process safety management in the area of mechanical integrity. Emphasis is placed on quality of the work product and the efficiency of work execution. The PSM Consultant will report to either a site manager or project manager who will establish clear expectations in terms of work quality, efficiency, and technical development. The PSM Consultant will work directly with clients on technical aspects of the projects and therefore must be able to communicate technical requirements and deliverables clearly and concisely. The position is located in Borger, TX (45 minutes northeast of Amarillo), with work throughout the Southwest region of the United States. Relocation incentives will be provided for qualified candidates. Provenance Consulting offers competitive salaries and comprehensive benefits and programs including: health and welfare, 401K, paid time off program, career mobility, volunteer opportunities, and other programs. For more information about Provenance Consulting, contact Human Resources at 806-273-5100 . Provenance Consulting values people from diverse backgrounds, working to create an open atmosphere of trust, honesty and respect. Harassment or discrimination of any kind – including that involving race, color, religion, gender, age, national origin, citizenship, disabilities, sexual orientation, veteran status, or any other similarly protected status is unacceptable. This principle applies to all aspects of employment, including recruitment, hiring, placement, transfer, promotion, layoff, recall, termination and other terms and conditions of employment. The Mechanical Integrity (MI) Line of Service (LOS) Manager is responsible for coordinating API Inspectors, nondestructive examiners, engineers and other field and office support resources on multiple projects at any given time. The MI LOS Manager will report to site managers or project managers who will establish clear expectations in terms of work scope, work quality and work efficiency on the projects for which they are responsible. The MI LOS Manager may be expected to work directly with clients on technical aspects of projects and therefore must be able to communicate technical requirements, concepts and deliverables clearly and concisely. Emphasis is placed on quality of the work product and the efficiency of work execution. The MI LOS Manager is accountable for the quality of work provided by MI/Inspection resources; therefore the MI LOS Manager is responsible for training and ensuring quality and efficiency. Candidate will help establish efficient and effective means of tracking and reporting metrics related to MI/Inspection project execution. The MI LOS Manager is accountable for the professional development of MI-related resources throughout the company. The position is located in Borger, TX (45 minutes northeast of Amarillo) with possible work at other locations. Travel up to 50% of the time should be expected. Provenance Consulting offers competitive salaries and comprehensive benefits and programs including: medical, dental, vision, 401K, paid time off, career progression, volunteer opportunities, and training/certificate programs. For more information about Provenance Consulting, contact Human Resources at 806-273-5100.